After a hundred years of steady improvement, the rate at which people are being injured in everyday accidents is sharply increasing. Asdoctors and medical researchers work busily to extend our lives, more people each year are figuring out ways to cut them short. Car crashes, pedestrian fatalities, home improvement projects gone wrong, mistaken medical diagnoses, adventure sports, even cockroach-eating contests: we’re finding diverse and creative new ways to put our bodies in harm’s way. But according to Steve Casner, who has spent the past twenty years at NASA ensuring the safety of people who hurtle through the atmosphere at the speed of sound, and whose studies on safety have received critical media attention from such publications as The New Yorker and Scientific American, there’s no such thing as an accident. Casner insists these injuries are preventable and that we can take back control of our own well-being. 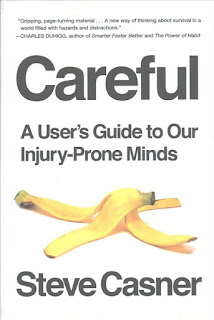 Now, he shares his new book, Careful: A User’s Guide to Our Injury-Prone Minds. · knowing how and where “bad stuff” happens, including around the house, in the workplace, while watching children, and at the doctor’s office. By sharing stories of real accidents alongside the simple techniques that could have been used to prevent them, Careful offers a new understanding of how our sometimes fallible minds work so that we increase our chances of getting through the day in one piece. 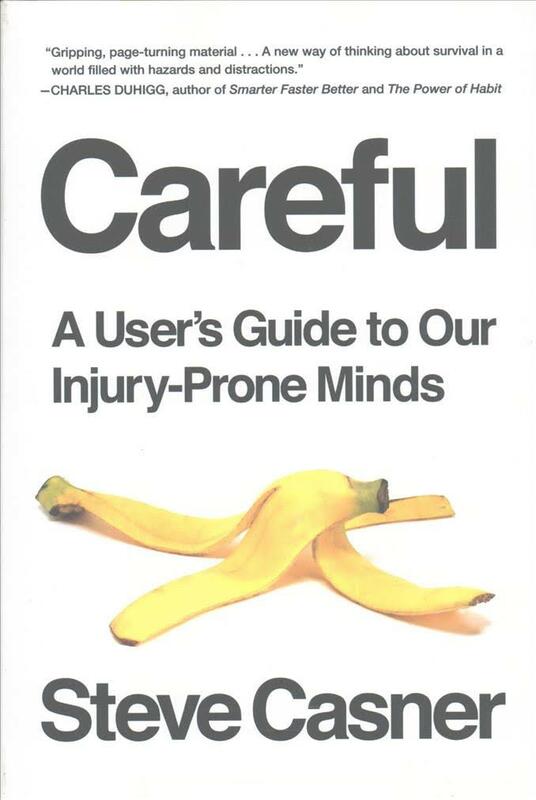 Steve Casner is a research psychologist who studies the accident-prone mind. A NASA scientist by day, Casner also flies jets and helicopters, rides motorcycles and skateboards, and has surprisingly few scratches on him. He lives in San Francisco with his wife and daughter.